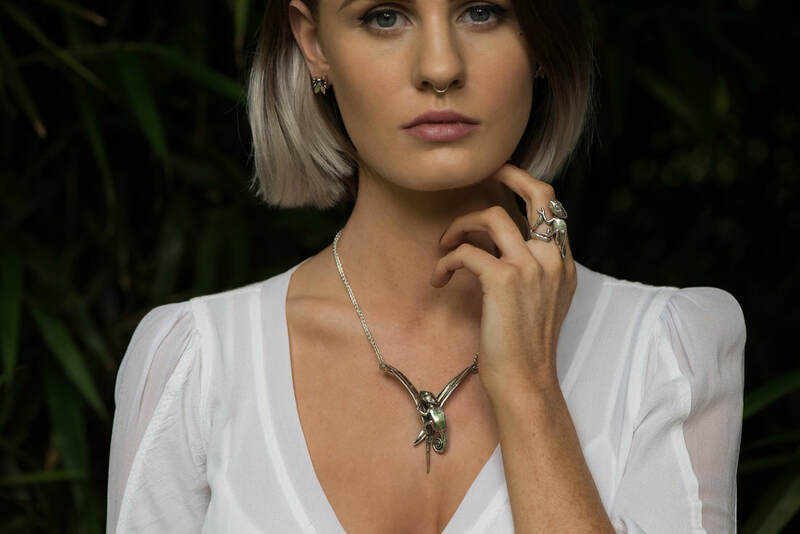 Emma is a designer and sculptor of animal-themed silver jewellery, choosing as her subjects anything from the stunning Madagascan Moon Moth to the much misunderstood hero of the apple orchard, the earwig. Her work reflects her love of simplicity and her belief that animals are beautiful in their own right. In her pieces, she tries to capture the true essence of the creature – which often means omitting details which would detract from the creature’s key characteristics. Secretly she enjoys modelling the beasts much more than the beauties! 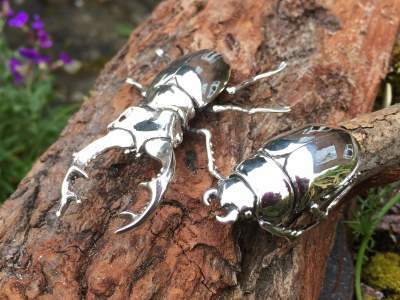 Though starting her career as a helicopter design engineer, Emma’s lifelong passions have always been art and animals. Bizarrely a robbery in 2015 led to her being introduced to the technique of Lost Wax Casting and, her first piece – the Red-Eyed Tree Frog, convinced her to pursue her passion more seriously. 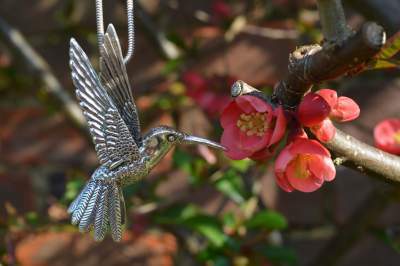 She now works full time from her home in Westenhanger and exhibits her work at local and national craft shows including Wisley, Kew and Chelsea.